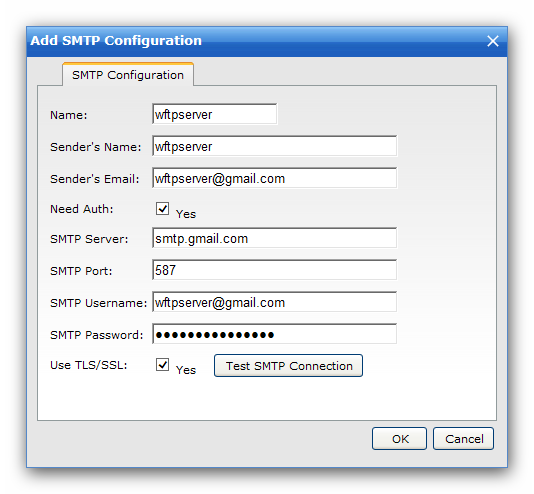 First, you need to add a SMTP Server( 6 steps). 1 Click "Add SMTP Config" button which can be found at Domain->Setting->General Setting. 2 Enter your full email address (test@gmail.com) in the Sender Email field. 3 Enter your name in the Sender's name field. 4 Enter your SMTP Server address in the SMTP Server field. 5 Enter your email username in the SMTP Username field. Enter your password in the SMTP Password field. 6 Check the Use SSL box if your email server requires secure connection. This picture shows how to config with gmail. 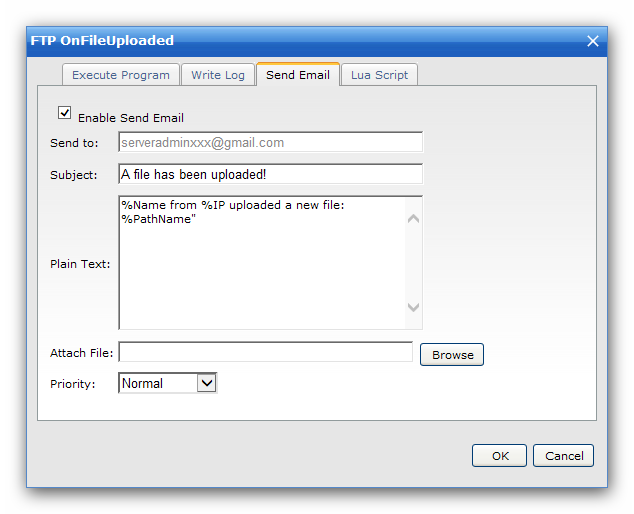 Second, use Event Manager to send a email to a specified receiver,You can also specify subject,priority,text and attach file.